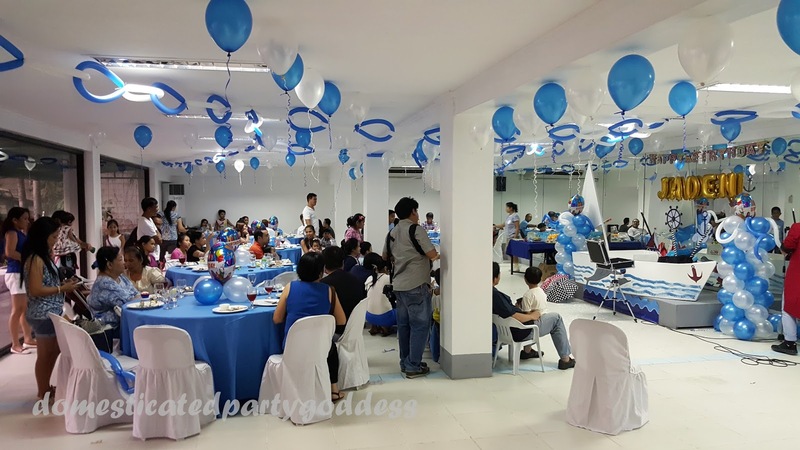 party planning tips from a certified party momma! Planning an office Halloween party and everything is just DIY? Here are a few food ideas. 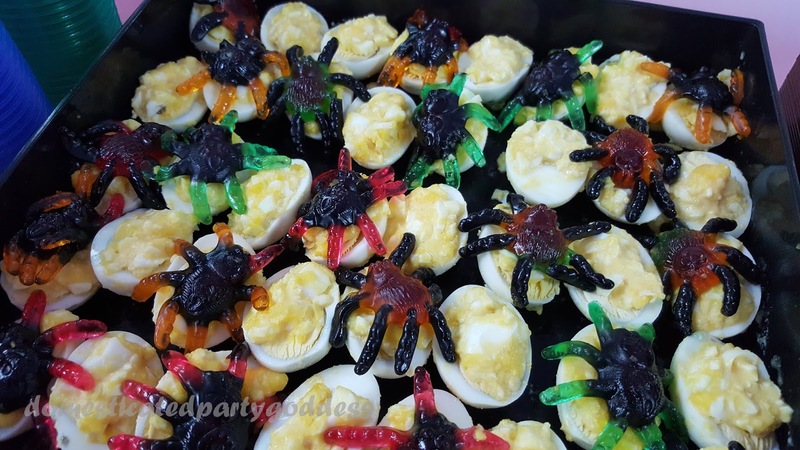 Deviled eggs topped with creepy crawlers. There a lot of deviled egg recipes in the internet that you can use but the simple trick here is to source spider jellies to bring out Halloween feel. 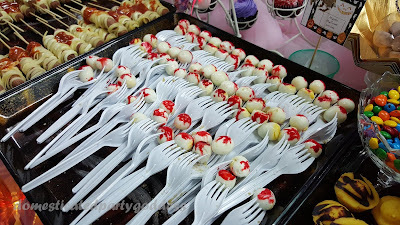 My colleague who runs a small catering business on the side sells coffee jelly in shot glasses. They are always a big hit in our office parties so we decided to add this to our Halloween menu and just put worm jellies to "spice it up". Another easy peasy finger food is quail eggs. 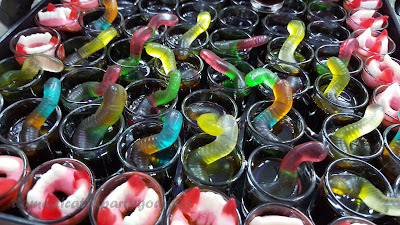 Just add a drop or two of red food coloring and you now have pierced eye-balls in your party spread. 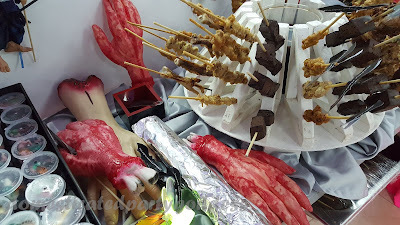 Grilled and barbequed food are always a big hit so why not leverage on that by adding grilled goodies with a twist (chicken feet, pig's blood, chicken intestines). In any party, especially with limited budget, creativity is key. Who would have thought that a stunning garden party venue is tucked somewhere in the quiet neighborhood in Brgy. San Isidro in Taytay? The venue seems far but near enough to be reached by public transportation as it's close to Ortigas Avenue Extension. 14 Four Café is an small garden café owned by a family of furniture designers, hence, the beautifully crafted sofas and tables used the resto. If you prefer an intimate In-Room dining party, their airconditioned dining room can accommodate up to 25 people. 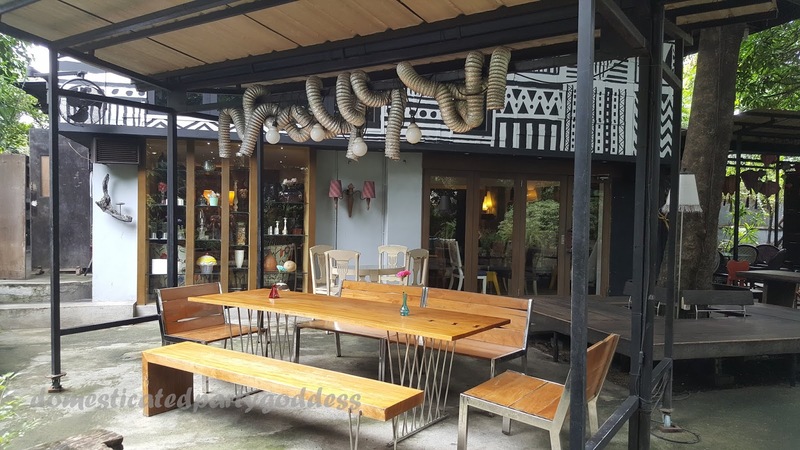 You'd be welcomed by uniquely designed furniture that would surely trigger those Instagram-worthy poses. 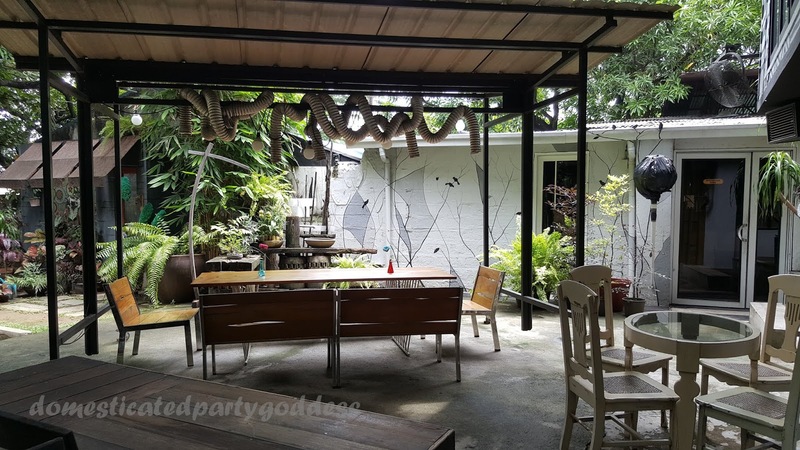 For larger parties of up to 80 guests, the patio area is just as lovely. 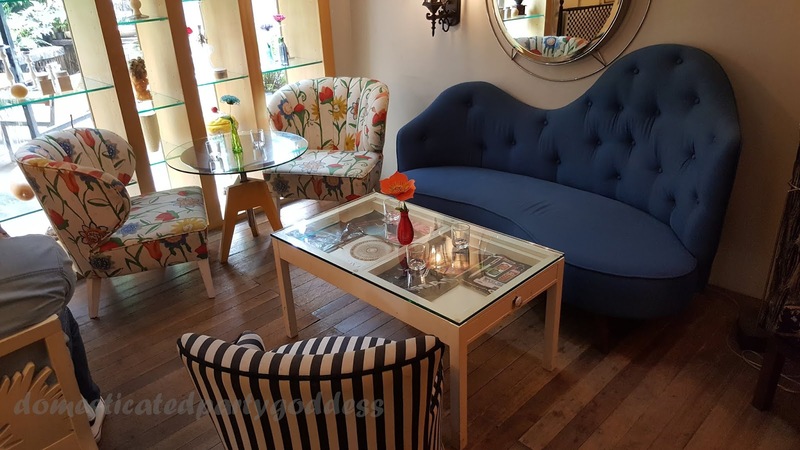 It's perfect for debuts, office events and even christening receptions. 14 Four Café can be booked for private events by simply availing of their party packages which come with consumable food and use of venue for three (3) hours. 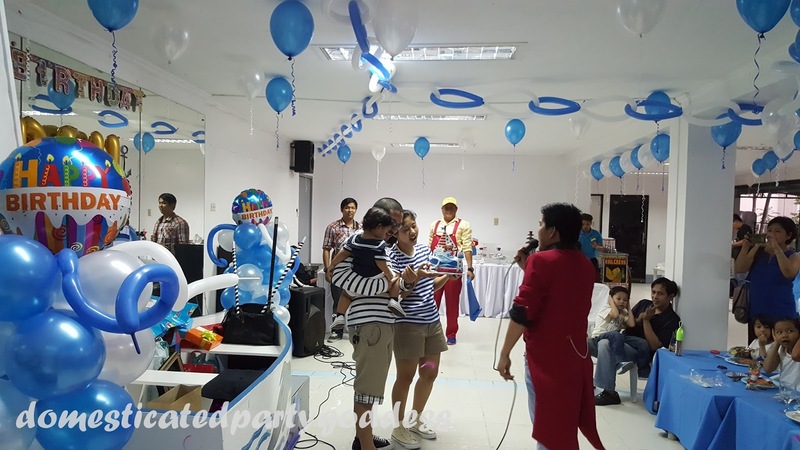 For more details about 14 Four private functions, please visit their website here. Who would think of holding a party in a museum? We all know how museums are like - no loud noises, hands off with all the display in the galleries and definitely extreme care must be observed when touring with children. Oh well, what if I say you can break all these rules and have a party in a museum? It's possible at Museo Pambata. The name itself suggests it's a children's museum showcasing exhibits that stimulate children's thinking and imagination. 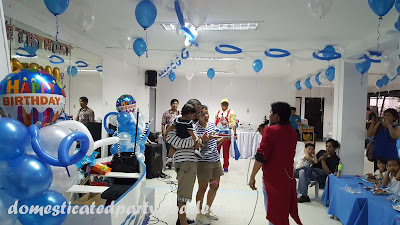 There are 4 party venues at Museo Pambata: Multi-Purpose Hall (150 pax capacity), Karapatan Hall (120 pax seating capacity), Learning Room (180 pax seating capacity) and the Outdoor area. Amidst the busy schedule and last minute booking, my sister got lucky to be able to book the Multi-Purpose Hall. 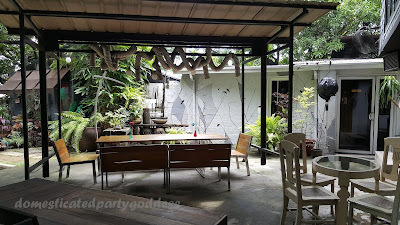 Museo Pambata's multi-purpose hall is located outside the main museum, near the parking lot. It looks small from the outside but its 288 square meter size can easily seat up to 150 people. The front wall is fitted with floor to ceiling mirrors that create an illusion of extra space especially that the venue is rectangular and has pillars in the middle. 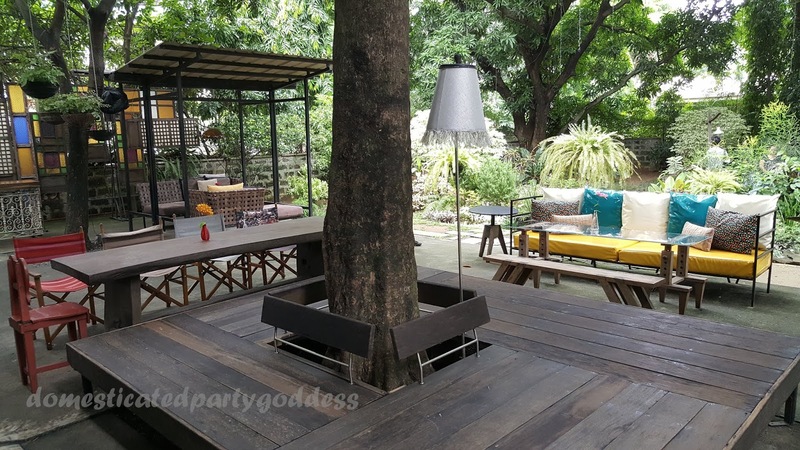 It can be rented for 3 hours for a fee of Php15000. 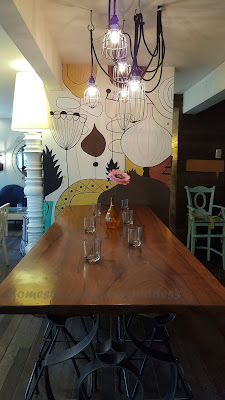 Renters may choose to add Php3000 (total rental cost of Php18000) to include 30 pcs of Museo Pambata's giveaway packs (coloring book, crayons, lanyard). 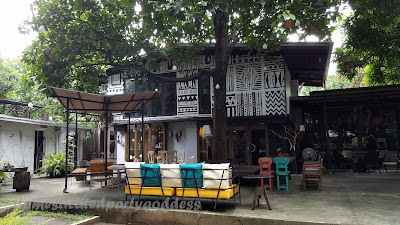 What's unique about having having a party at any of Museo Pambata's party venues is that there is a guided tour inside the museum for 50 of your guests. You can use the ticket as prize for the games, or for the early birds to your party. For more details, please check their website. 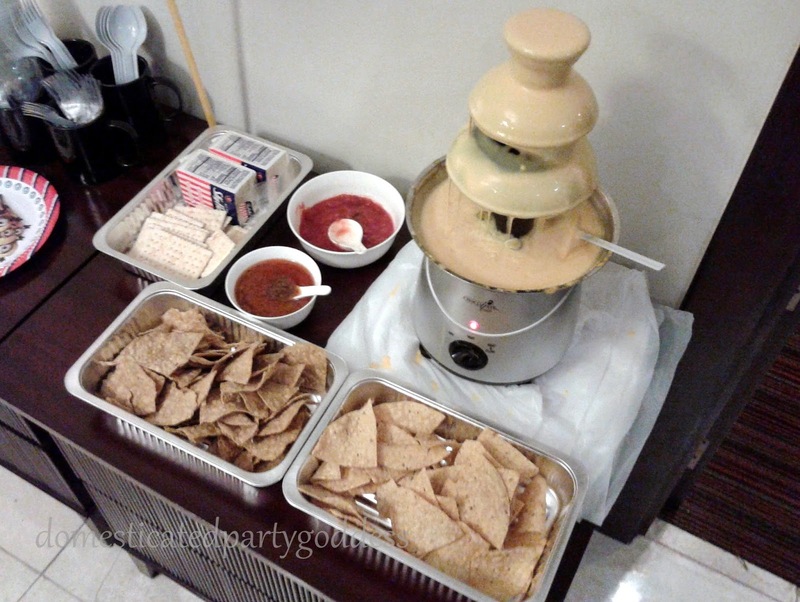 How About A Cheese Fountain?